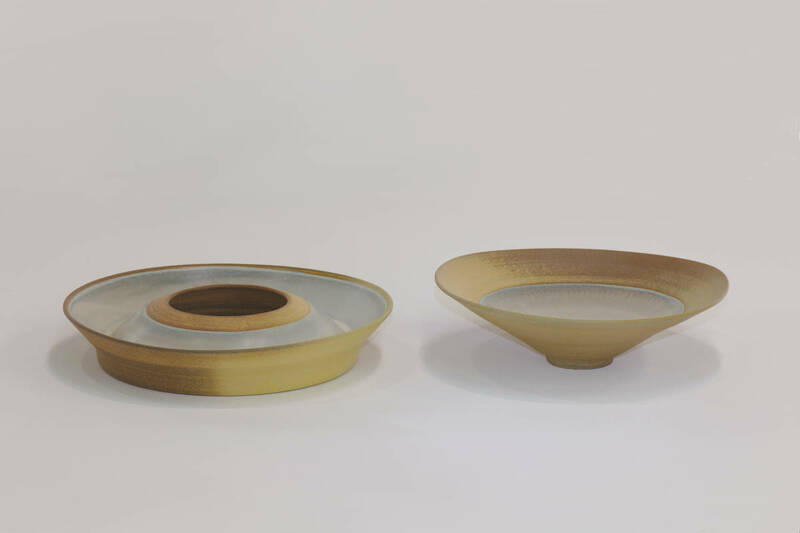 This series of bowls is hand thrown on the wheel and fired to cone 10 or 1280°C in the reducing atmosphere of a gas kiln. 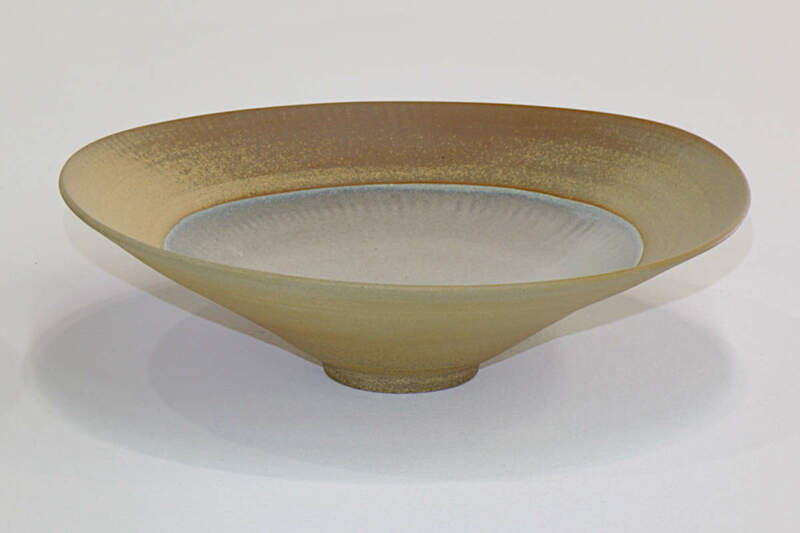 Large Bowl 1 is 31cms in diameter and 13cms in height. 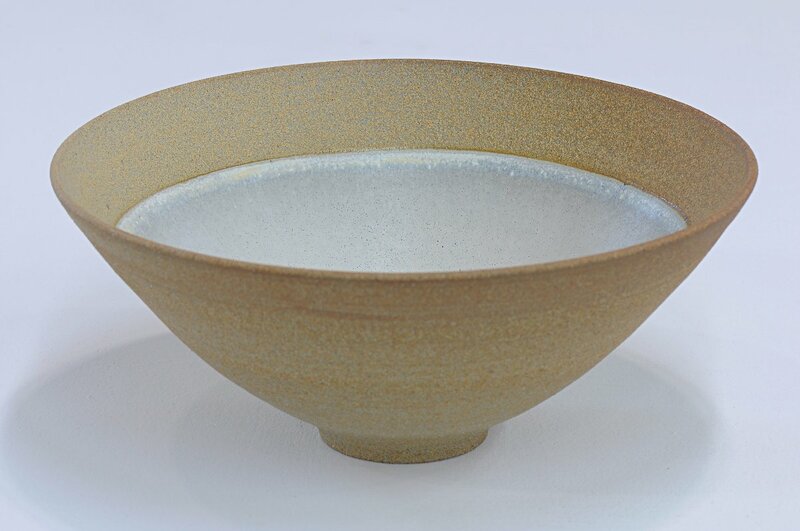 It is made of Los Altos, a sandy stoneware clay unglazed on the outside and with a variegated white/grey satin matte glaze on the interior. 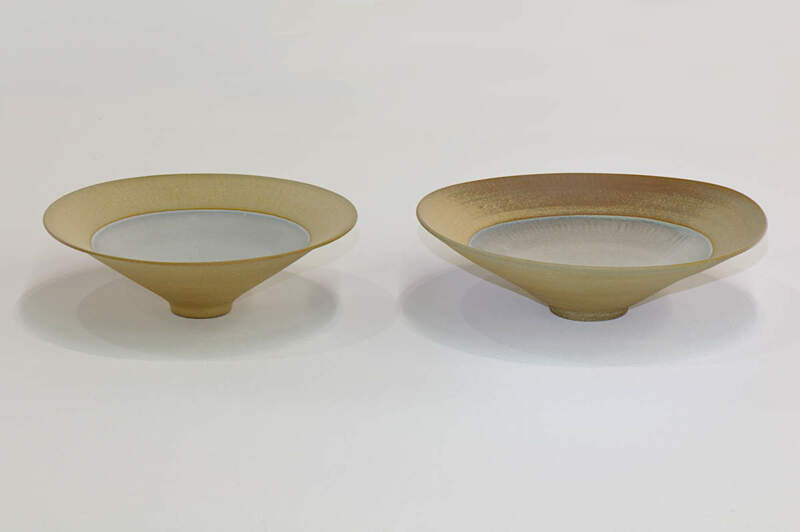 The glaze may also be seen on the Cascade Vases. 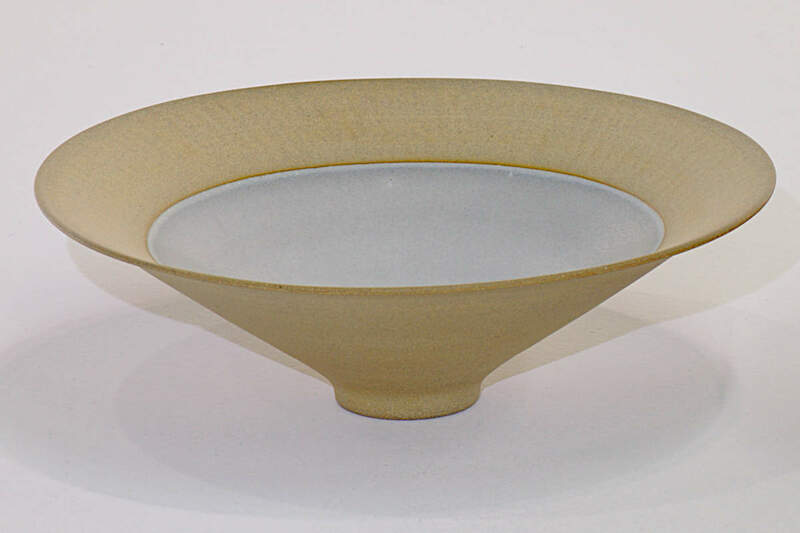 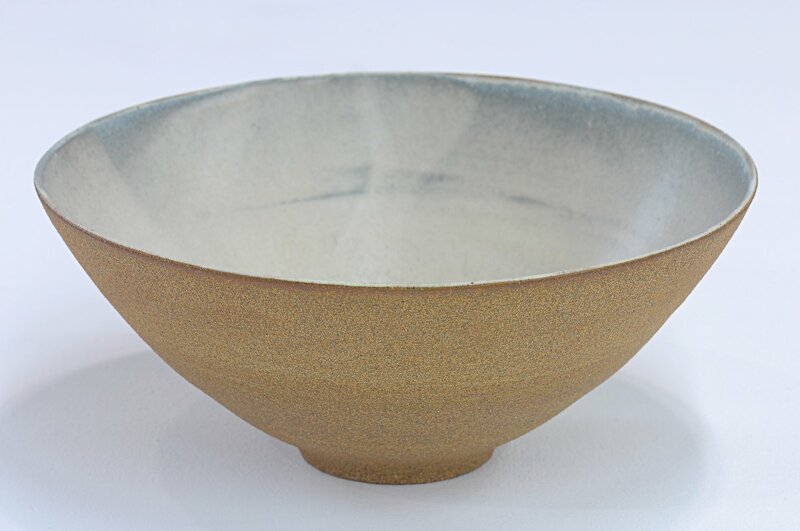 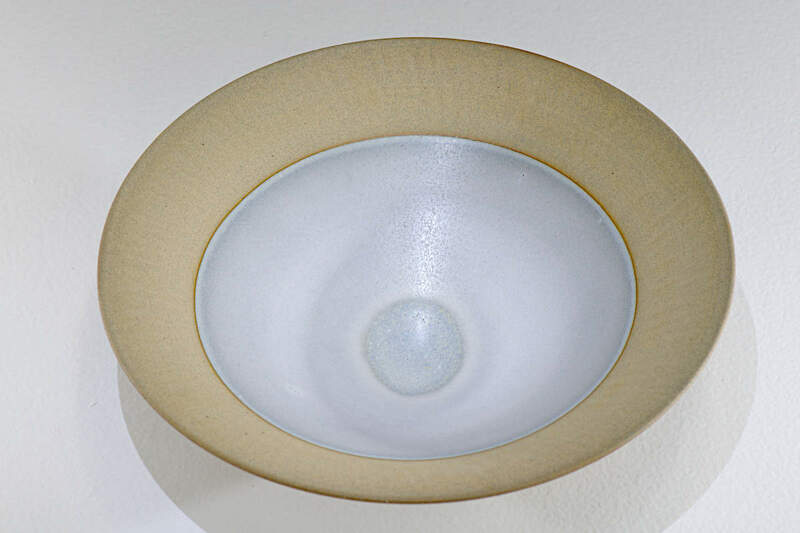 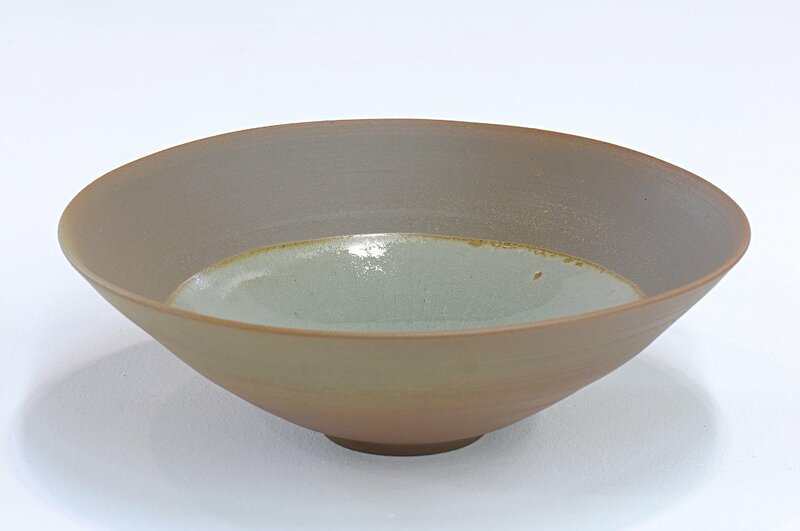 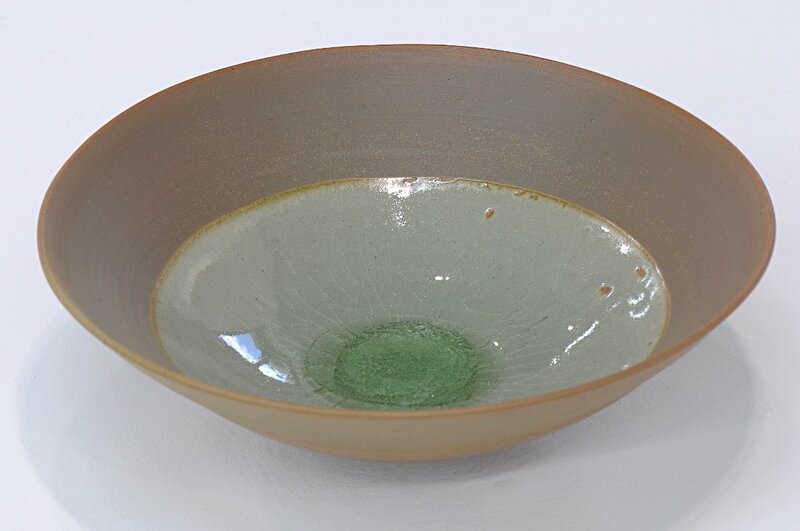 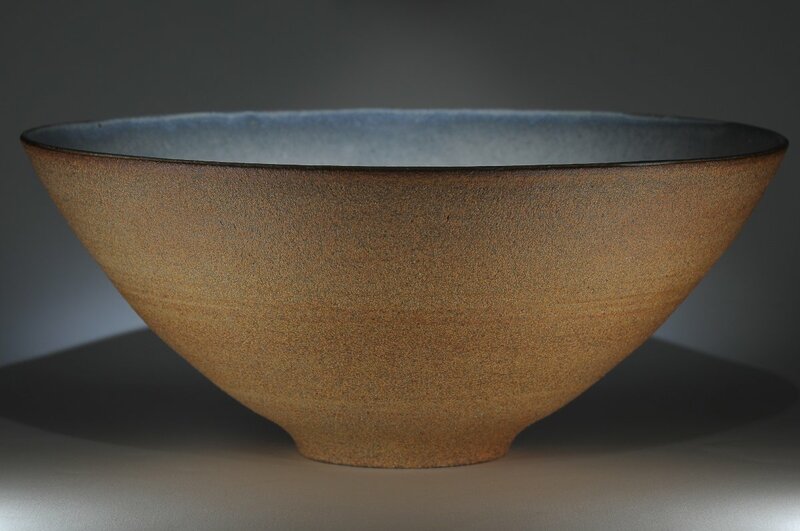 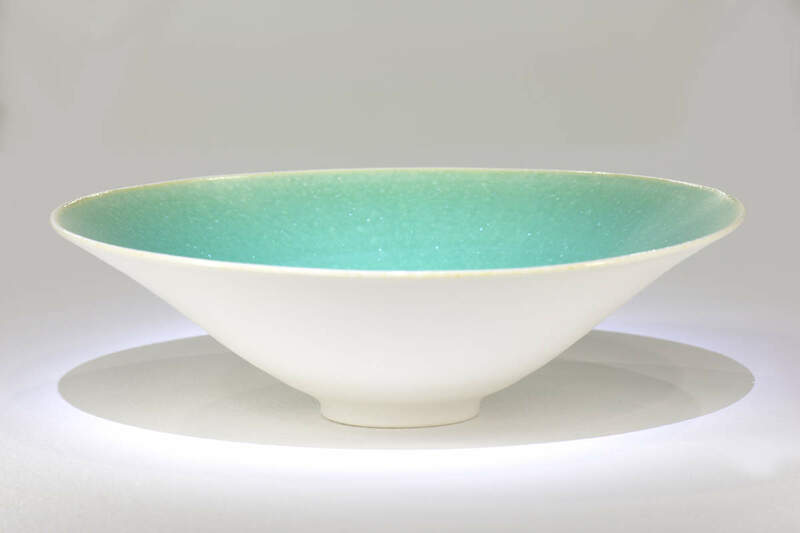 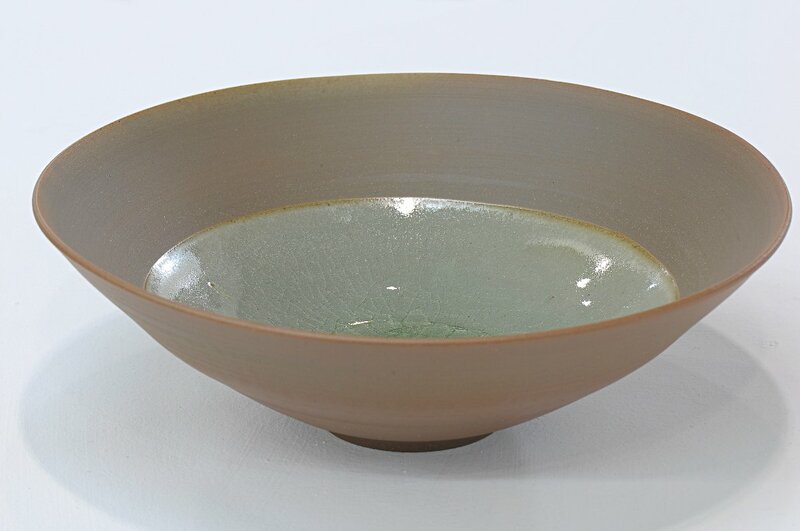 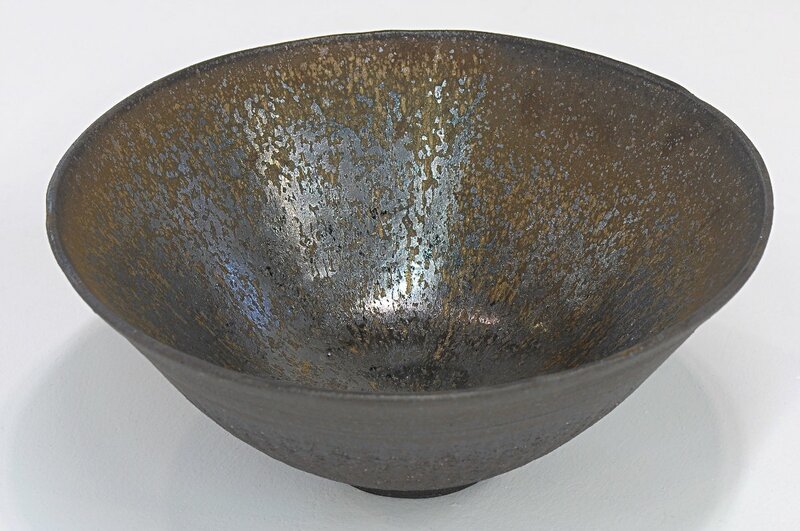 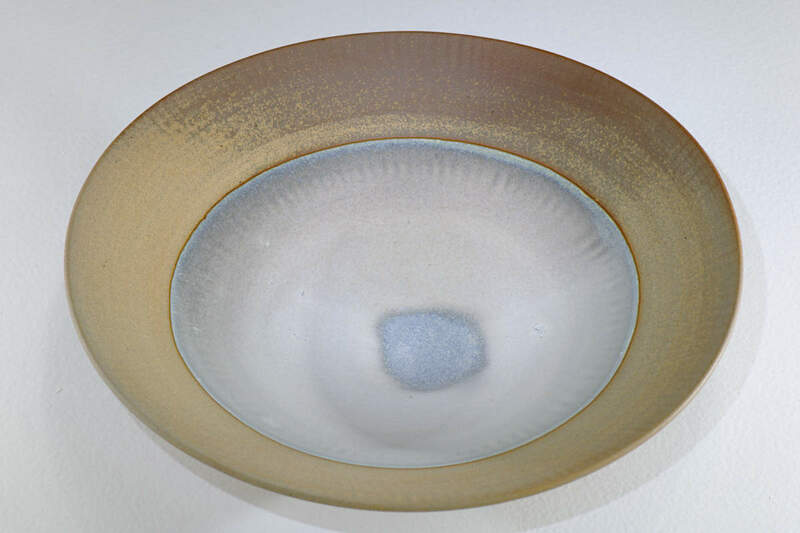 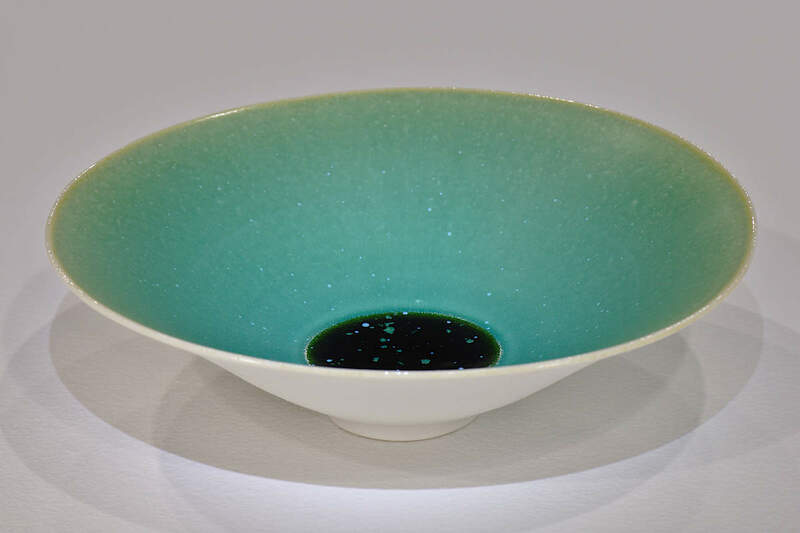 These large bowls may be enjoyed for their forms and surfaces and they also lend themselves well to decorative displays as fruit bowls or as Ikebana vases. 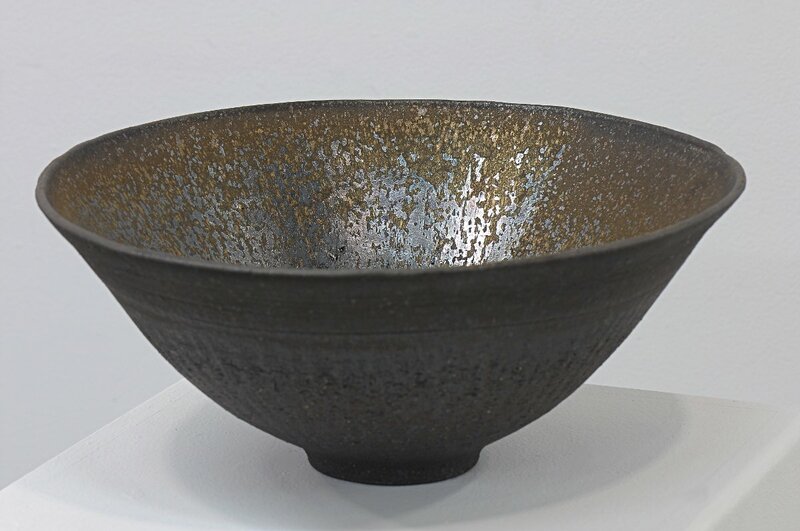 Large bowls 1 and 4 received an award of merit in the Moreton Bay Regional Art Awards in May 2018.